The Indian football scene is going through a lot of turmoil at the moment but the National team need to continue the good work and win at home. Amidst all the drama involving who’s heading Indian football at the moment (and the parity has been restored recently), its usual business for the senior National team. The Sunil Chhetri-led team will walk out to make it five-on-five against Myanmar on 14th November at Goa, the game starting at 8 PM IST. A streak has already been broken. 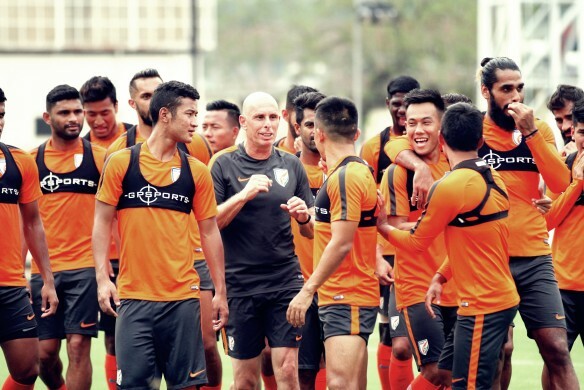 Before playing all four of their qualifiers, Stephen Constantine’s men had played at least one friendly encounter before taking the real test. Having already qualified for the same, probably the same sort of importance is not being given to the last two qualifiers. 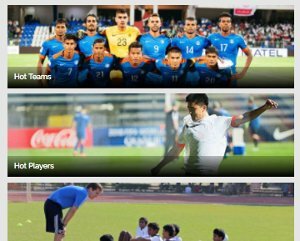 Other interests, too, could be keeping the AIFF administrators away. The National team is on an unbeaten run of 12 games and will be taking the field at Fatorda with the will to make it 13. There have been a lot of changes recently, with news of revolt in the team coming up against manager Stephen Constantine. Also, the Delhi High Court’s order has also given a jolt to the football’s growing demand in the country. The team has had two 1-0 victories in the first two games against Myanmar and the Kyrgyz Republic, with captain and talisman Sunil Chhetri easily being the standout performer, scoring with solo efforts and was well supported by Udanta Singh and Jeje Lalpekhlua respectively. In the next two qualifiers against Macau, India won 2-0 and 4-1, ensuring their participation in the showpiece tournament in 2019. Known to use the 4-4-2 or the 4-2-3-1 system, with the first one used mostly in a double 6 shape, Constantine ensures a different resoluteness in his no-nonsense approach. Low creativity but high resilience are strong properties of his gameplay and the 55-year-old has proven his abilities with results. 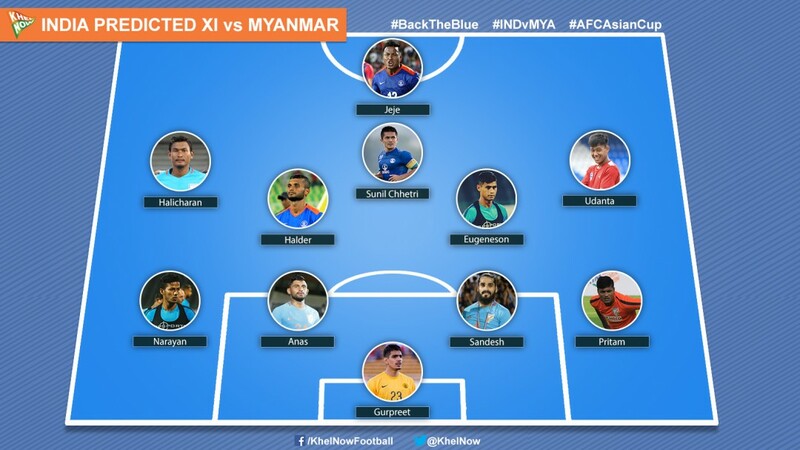 In the game against Myanmar, he would be expected to go with the same formation. It’s been a while the back four and the goalkeeper have been different for the National team, and the trend is set to continue. Gurpreet Singh Sandhu, with his humongous presence, has been one of the key performers, blocking key attempts on goal in the four games. Anas Edathodika and Sandesh Jhingan are set to start at the heart of the midfield and Pritam Kotal and Narayan Das will be expected to support them from the wings. Up ahead, Pronay Halder looks set to join the fray in the absence of easily the most influential midfielder India have at the moment, Rowlin Borges. Halder is returning after a long injury lay-off and recently had a decent pre-season with FC Goa in Spain. 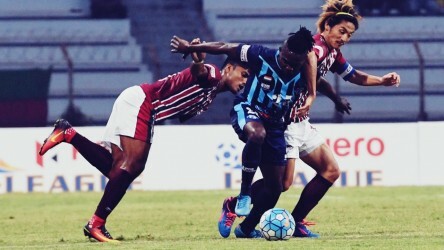 The former Mohun Bagan midfielder looks a little away from full fitness, but should partner Eugeneson Lyngdoh in the heart of the midfield. The right and the left wing will go to Udanta Singh and Holicharan Narzary respectively. 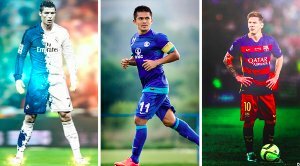 Up top, Chhetri will be expected to partner goal-machine Jeje Lalpekhlua to take care of the creative duties in the opposition half. Click here to read what more Indian coach has said at the pre-match conference. Gerd Zaise- "The Indian captain is a cool customer and he's the most dangerous player. We must take care of the counter attacks and the defence line must be cautious when it involves him,” Zaise stated." 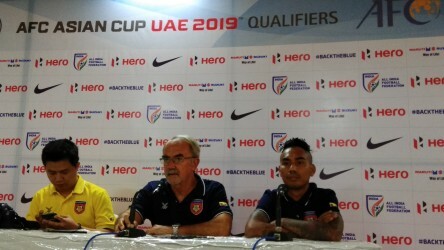 Click here to read what more Myanmar coach has said at the pre-match conference. The match is scheduled at 8 PM IST and will be broadcast on Hotstar & the Star Network. 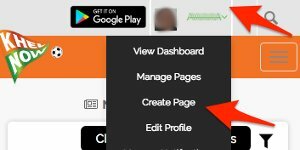 You can also follow the Live Coverage/Commentary of the game on KhelNow.com. AIFF agrees to the demands of the I-league clubs and release schedule, BUT...?